Would you like to enjoy the peace and space of true farming life? 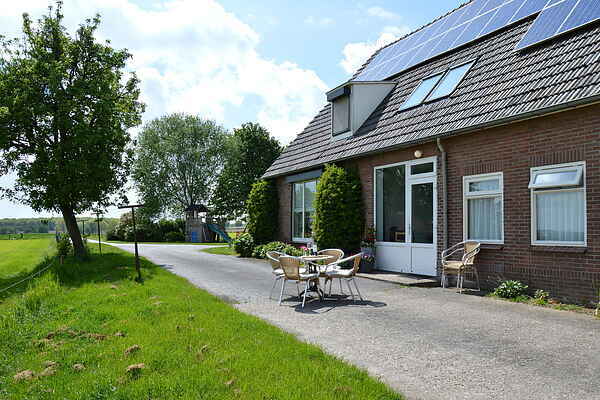 Its possible in this holiday residence on a farm in Groesbeek in Geldern. From the terrace of the home you can enjoy the beautiful broad view of the meadows of Groesbeek. If you are interested in workings of a dairy farm, the homeowners will be glad to share their experience with you. The farm is situated in a rolling landscape with expansive forests and beautiful views into the distance. The hilly area is outstanding for hiking and cycling. The well known Pieterpad is only 300 metres from the holiday home. The centre of Groesbeek, with three museums to visit, is about 3 km away. A visit with the kids to the Tivoli amusement park in Berg en Dal (4.5 km) is certainly recommended. You can reach the centre of Nijmegen within 15 minutes by car. The various shops, the many terraces and diverse museums make a visit to this city worth the trip.